The Clarisonic Pro Sonic cleansing system is one of those beauty products that people are always raving about. Here I have tried to answer some of the questions you may have. What's Special About the Clarisonic Pro? 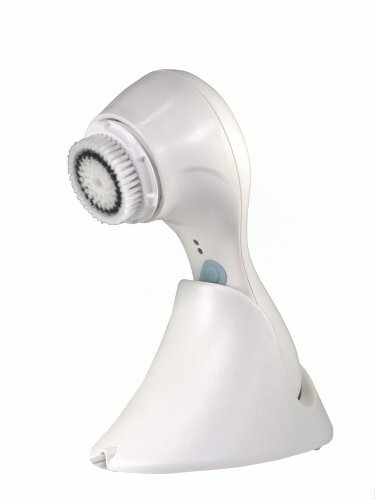 A couple of girlfriends recommended the Clarisonic Pro to me but ever the skeptic I thought long and hard before buying it a couple of months ago as it comes with a pretty hefty price tag, however I haven't been disappointed as it is one of those rare products that you really do want to tell eveyone about. I'm prone to black heads and enlarged pores on the nose and chin area but two months in these are unclogged and have all but closed up. Also, I don't think I've had a zit for the last month or so either. I found it quite surprising just how quickly you notice a change - even after the first go your skin feels noticeably softer. By the way, the Pro also comes with a body brush so you can use it all over. One of the other things a really like about the Carisonic is the way it prepares your skin for other products. After you use it whatever you apply to your skin get absorbed really quickly. It even makes your make-up look different. I used to notice that sometimes when I applied my base it would kind of "slide" across my face. I don't know if that makes sense but anyone who has experienced it will understand what I mean. Now I get pretty much a perfect natural looking finish. How Does the Clarisonic Pro Work? The inspiration behind the invention of the Clarisonic cleansing system was to find a way to move the skin so as to loosen the plug of dirt in congested pores. From what I can make out, to do this the brush head oscillates 300 times a minute (it doesn't spin - that's old school). This jiggles the skin around which starts unclogging the pores. All this is meant to mean that it removes "6 times as much make-up and twice as much dirt" as normal cleansing. How Do I Use the Clarisonic Pro? The Clarisonic is not a microdermabrasion machine so it is safe to use it every day - infact it was designed to be used twice a day - morning and evening. For the face it works on a 60 second timer. Twenty seconds for the forehead and nose, twenty seconds for the chin and ten seconds for each cheek. It pauses at briefly at the end of each time period so that you know when to move on and then automatically stops at the end. You don't need to remove your make-up before use unless you wear very heavy stage make-up or something. The Clarisonic is actually water-proof so I like to use mine in the shower as it save time when I'm in a rush but I should imagine alot of people would prefer to look in the mirror as they are using it. I also took a tip off one of the reviews on Amazon which suggested using a combination of regular clear witch hazel mixed with about 2-3 drops of pure tea tree oil. "This combination kills bacteria, removes residue, does not dry out my skin, is totally natural, and leaves my skin feeling super tingly and fresh. And it's incredibly economical." I have to say I agree. Can I Use The Clarisonic Pro With Retin-A? The short answer is it's usually not a problem but the company recommends that you check with your skin-care provider. This one is good for oily and congested skin and contains anti oxidants from green and white tea. This cleanser is made from Shea butter and olive oil and is good if your skin is on the dry side. This is the one for the body. It exfoliates areas of the body that .need extra smoothing and softening. What's Are The Differences Between The Clarisonic Models? The technology is the same for all the models so you should get similar results with all of them. All the facial brush heads can be used on all the models but the body brush heads can only be used on the Plus and Pro. All models come with a universal charger. The Clarisonic Mia is the entry level model. This is slightly smaller, so good for travelling and has aonly one speed (normal) and comes with a 1 year warranty. The Clarisonic Mia 2 comes with a travel case. 2 Year warranty. The Clarisonic Classic has two speeds - normal and low. 2 year warranty. The Clarisonic Plus has three speeds plus a body mode. 2 year warranty. The Clarisonic Pro has four speeds plus the body mode. 3 year warranty for machines manufactured after January 2010 otherwise a 2 year warranty. So glad I have found this. You have written a very nice post on the Clarisonic Pro, a skincare device which I think is one of the best products on the market right now. The only issue I have with it is the fact you need to change the brush head often, other than that I highly recommend it as you do. High quality toenail trimmers are a necessary tool for the best foot pedicure.